Extractos fascinantes de varias películas de propaganda nazi prohibidas revelan un polémico y asombroso documental de visionado obligatorio. El director Felix Moeller entrevista a historiadores de cine alemanes, archivistas y cineastas en una investigación sobre el poder, y el potencial daño, que puede tener el cine aplicado a propósitos ideológicos. Durante la dictadura del Tercer Reich se produjeron en Alemania más de 1200 películas. Según los expertos, unas 100 de ellas eran descarada propaganda nazi. Casi setenta años después del fin del régimen nazi, más de 40 de estas películas permanecen guardadas bajo llave. Utilizando extractos de estas películas y discusiones grabadas en sus proyecciones al público (permitidas en Alemania bajo propositos educacionales) en Munich, Berlin, Paris y Jerusalem, Moeller nos enseña lo polémicas que siguen resultando estas cintas incluso setenta años después, y como la propaganda puede seguir siendo efectiva cuando la presentas a un público susceptible a la manipulación. 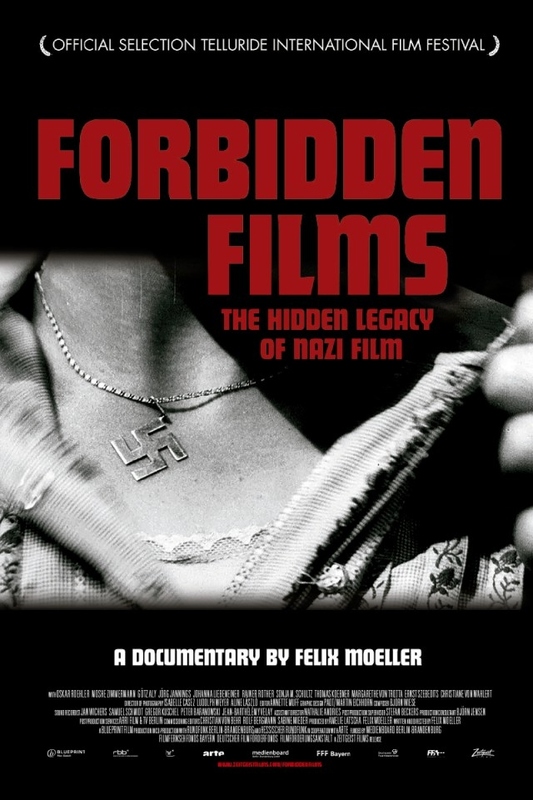 "Felix Moeller’s documentary “Forbidden Films” questions whether or not 40-odd Nazi propaganda films still banned by German authorities should be released. Pros and cons are tossed around by historians, filmmakers and audience members at restricted showings in Germany, France and Israel, and in shadowy rooms by neo-Nazi recruiters. But contemporary issues pale before the fascination exerted by the generously sampled films themselves, executed throughout with masterful classical film vocabulary: As shocking as the pics’ virulently anti-Semitic, anti-British or anti-Polish sentiments is the expertise with which they are embedded in traditional entertainment genres. " 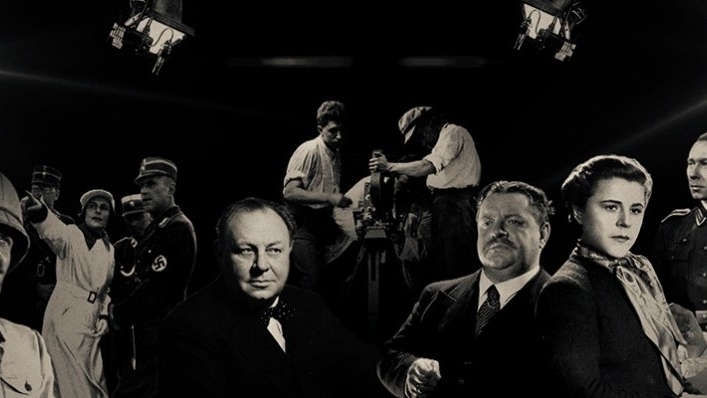 "Fascinating viewing for both film and history buffs. 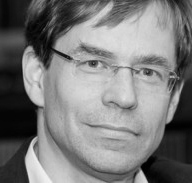 Felix Moeller's documentary explores the issue of whether films produced by the Third Reich should receive public exposure." "This is a documentary fascinated with and fearful of cinema’s potency, but it’s also devoted to the idea of open discourse, a stance that underlines the urgency of thinking about film critically." "What fascinates are the Nazi films themselves, such as the notorious (and distressingly well-made) “Jew Süss”; a ludicrous musical about singing bomber pilots called “Stukas”; and “Kolberg,” a Technicolor epic about the Napoleonic Wars (banned for being “anti-French”). Perhaps the most disturbing is “Homecoming,” beautifully shot and lit, passionately acted by the renowned Austrian star Paula Wessely — and made to spread lies about Poland. If some of these films were less skillful, suggests Moeller, they might not be banned."